Constantly bragging about sleep deprivation unhealthily glorifies stress in our campus culture. I used to adhere to the common line of thinking about sleep deprivation and stress: avoid them; they’re bad. But it turns out that I was completely off the mark. The slow descent into anxiety-laden insomnia must have some fairly obvious charms, which most of the student body takes for granted. Being sleep deprived, over-stressed, pressed for time, and on the verge of a psychotic break—these conditions aren’t just unfairly maligned. They’re actually a badge of pride on this campus. I’m inclined to think that most of this is blown out of proportion (otherwise, a significant portion of the campus population could use insomnia therapy). Students routinely claim to have have gone without sleep for truly unbelievable stretches of time. And by “unbelievable,” I mean defying even a medical understanding of human limits. The current record for sleeplessness is a mere 11 days, but hallucinations and total cognitive dysfunction can set in well before that. It’s remarkable how many students right here on this campus claim to have shattered that record with very few symptoms at all. Students’ tendency to exaggerate their sleeplessness only fuels an atmosphere of competitive insomnia that’s already pervasive in our campus culture. Students obviously do pull all-nighters on a disturbingly regular basis, but there’s nothing terribly impressive about a single all-nighter when students characterize their sleep deprivation in terms of weeks and months, not just days. Problematically, going without sleep isn’t just common, it’s also brag-worthy. 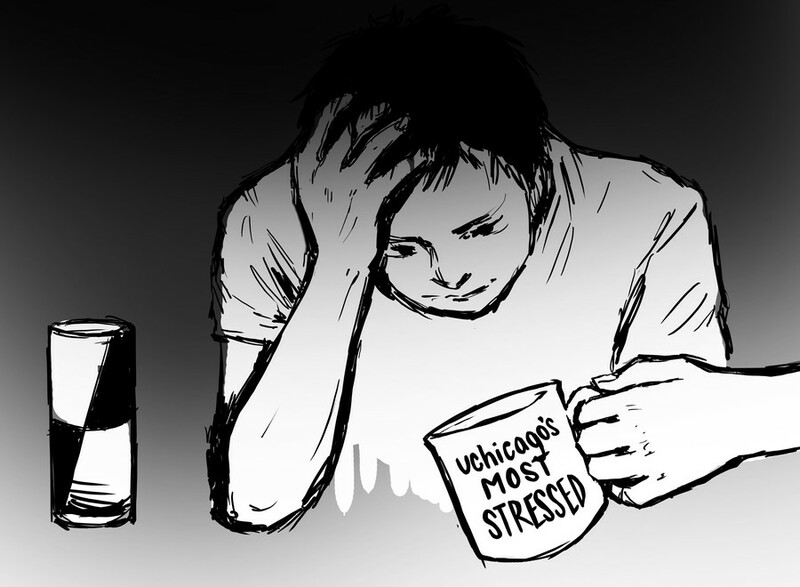 Sleep deprivation at UChicago has become a peculiar Herculean feat; sure, it’s unpleasant, but it’s part and parcel of a bizarre student culture in which you then get to proudly announce how you wrote that 15-page paper in a single night with a near-lethal dosage of Red Bull. This pride isn’t entirely misplaced—it is incredibly taxing to even try functioning when the only R.E.M. you’ve gotten lately was from a café’s ambient soundtrack. But bragging about your recent foray into insomnia is quite a bit like bragging about tooth decay. Pulling through might be impressive, but that doesn’t even begin to compensate for an otherwise miserable and deleterious experience. It’s not just sleep I’m talking about. The atmosphere of competitive masochism encompasses a wide range of student life and makes no sense in any of it. We brag about procrastinating, stress, and misery generally (consider the “heroic” story we’ve all heard about a lengthy paper started only hours before the deadline). I actually heard a guy declare gleefully, after describing an upcoming week of hellish midterms to a stressed friend, “I’m doomed.” The conversation ended there—in his eyes, he’d won. This culture is not only mystifying, but also wildly excessive. It’s not clear why being persistently on the verge of cognitive collapse is so cool. But it’s an unchallenged—and unhealthy—tenet of campus culture that if everyone is going to be stressed, being more stressed than the next guy is how you win. One would think competitive stress’s pitfalls are immediately apparent in a way that discourages rather than promotes its spread. But we’re all too happy to continue bragging about our own self-inflicted travails and encouraging them in others. We should check the urge to glorify extreme stress—not simply because it’s unhealthy and liable to make you miserable, although it certainly is both of those things. It’s an unsustainable lifestyle, for most of us. Working on the verge of breakdown can’t possibly be a point of pride when producing high-caliber work is paramount (or even moderately important!). If most of our parents were to announce to their coworkers or bosses that they’d held off on starting a large project until immediately before the deadline, they’d probably be treated as if they’d confessed their own incompetence outright. And any important work produced in a haze of sleep-deprivation would probably be met with a grain of salt. Those responses make sense. Needless stress and insomnia are the sort of self-destructive behaviors that come at the expense of quality, making them unhealthy, depressing, and unproductive. That’s the sort of winning trifecta that ought to give us pause. We should keep those red flags in mind the next time we overhear a friend bragging about their procrastination-induced travails and the first impulse we feel is to triumphantly declare ourselves equally or more stressed. Natalie Denby is a third year in the College majoring in public policy studies.